The Jesus Prayer is the gateway to silence, and silence is the language of Heaven. Silence is not the mere absence of sound, any more than beauty is the mere absence of ugliness. The chant of the Orthodox Church is crafted from silence: it articulates the eloquent silence of Heaven. One facet of holiness is a life and a heart that is silent within, that surrenders layer after layer of internal noise, and is simply present to eternity in the here and now that God has given. And silent people carry Paradise with and around them. Indeed Paradise is where God’s people are present. A metronome is a tool used to teach music. It ticks like a clock, but it can tick quickly or slowly for a song, and it helps people learn how long notes should last and lays a foundation for playing correctly, and then moving on from playing correctly to playing well. When a musician plays for real, the metronome is hidden. The audience may not hear it, but it has reached its full depth when the musician follows its rhythm internally. Orthodox hesychasm, or silent spiritual stillness, is meant so that the Jesus Prayer always be with us. “Prayer of the heart” is when the Jesus Prayer is sunk deeply enough in our hearts that moves of its own. There are concrete ways we can pursue this. We can work to say this prayer with each breath: Lord Jesus Christ, Son of God, as we breathe in, have mercy on me, a sinner, as we breathe out. We can say this prayer aloud, or silently in our mouths, or silently in our hearts. There is something powerful about saying the prayer aloud over and over again, and the other forms are meant to grow out of this foundation. Some people find it helpful to have a prayer rope, saying the prayer as they breathe and holding one bead or knot and then another to keep count. If you buy a prayer rope, the size does not particularly matter. I was given a 200 knot prayer rope but usually wear a simple black 50 knot prayer rope. Other people don’t wear the rope on their wrist, but keep it in a pocket and pull it out to pray. 33 Knots, which makes bracelets in many colors. Orthodox prayer ropes, which beyond selling ropes offers a carefully curated collection of related spiritual literature on the Jesus prayer. There is an ancient command, “Let nothing be done without the bishop.” The Jesus Prayer is part of the Orthodox Way and is rightly practiced as dovetailing with the sacramental life and community in the Orthodox Church. There is a saying, “As always, ask your priest,” and it applies to anything here. The metronome is made to fade away: it is not for the real performance. But in this regard the Jesus Prayer is more than a metronome: it soaks ever deeper, but it remains. 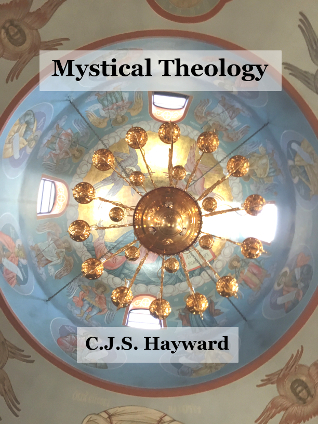 It opens a door to inner spiritual silence, the tradition of hesychasm in the Church, and it offers healing from the spiritual noise we are addicted to. Many of our technologies are practical, but most of them are also used to deliver spiritual noise, a daily fix of poison that keeps us from inner silence. The television, much of leisure spent on the Internet, all draws us precisely because it is laced with the narcotic of spiritual noise. Another layer of inner silence is a kind of watchfulness that watches over one’s inner state, desires, mental images, and thoughts. This is not “thinking about thinking” in the fashion that is popular today, but opening one’s nose to the stench of spiritual disease all of us have, whether we recognize and fight it or not. When we meet a diseased thought, of lust or pride, or using others in greed, it helps us if we can see what in the thought is diseased. It is hard enough not to worry, but sometimes if we can observe our worried thoughts and see what is spiritual disease, we might learn the wisdom of “Don’t tell me not to worry, nothing I worry about ever happens!” We might see as with all passionate thoughts that if we break the thought into its parts and see the spiritual disease, suddenly it looks rather groundless. Once we are in our right mind, or rather our right heart, some of our terrifying worries seem rather silly. The Sermon on the Mount is among the shortest of the divine owner’s manual for human life. It says a lot of difficult things, but it doesn’t say how, and hesychasm, the tradition of the Jesus Prayer and inner stillness guarded by watchfulness is how. It tells how not to worry; it tells how not to store up treasures in Heaven; it tells how to come to a point that we recognize anger and lust as tiny seeds so that we may stamp out smouldering rags and perhaps burn ourselves a little, instead of needing heroic efforts to stop a house fire. It tells how to seek a Kingdom of Heaven that is built in our lives out of the stones of the virtues and spiritual discipline. The Sermon on the Mount hits us flat on our chest and says, “Here is holiness. We don’t live it.” It is perhaps the best command in history to, “Wake up and smell the coffee!” Hesychasm, with its watchfulness and the Jesus Prayer a rhythm as we breathe, equips us in concrete terms to scale those peaks. Hesychasm is how to till the spiritual ground so that it will bear the fruit that blazes in the The Sermon on the Mount. You don’t strictly need a prayer rope; many have found them helpful, but they are an aid. Without a prayer rope you may still be able to reach the point where the prayer is always an aroma you smell when you breathe. And they cost money; perhaps God’s plan for your transfiguration has you spending your money on other things. The rhythm of prayer is a treasure no one is too poor to buy. If you are Orthodox, why not discuss with your priest how you might step into this rich tradition? If you are not Orthodox, ask if the Orthodox Church can share with you of its treasures. Some priests might have you receive other treasures first; some might directly offer you guidance in coming to experience freedom from addiction to noise, a freedom that is like the layers of music that come after one first learns how to use a metronome, the rhythm of “Lord Jesus Christ, Son of God, have mercy on me, a sinner,” increasingly giving the breath of God that we breathe its true and proper stature. The Kingdom of Heaven appears as the silence of the Jesus Prayer unfurls.